Feeding a pet a healthier diet may seem daunting, but it really involves no additional effort than simply doing it for yourself. Fruits and vegetables are important components of a human diet, but are greatly valuable to pets as well, especially dogs. Canine bodies benefit from the addition of fiber and phytochemicals in the same way that our bodies do. Fiber-rich vegetables like beans or leafy greens also alter the glycemic index of our foods as well as the carbohydrate-laden kibbled diets we feed our dogs. When adding fresh fruits and vegetables to a dog’s diet, it is important to start slow, introducing one new item per week, and work up to a wide variety. Try to include all colors for the greatest range of nutrients. Root vegetables, such as carrots and yams, are starchy and can add weight if fed in large amounts. Legumes, such as beans and lentils, give protein as well as antioxidants. Be sure to avoid the onion family, as well as grapes and raisins, as these are toxic to most pets. Because cats are strict carnivores and do not have a requirement for plant-based food sources, vegetables are less beneficial for our feline friends. Walking or jogging with your dog is a great way to exercise both of your bodies and strengthen your bond. This type of activity does entail some discipline if you want a good workout, however. Both dogs and humans need aerobic exercise to stay in good physical shape, but ambling down the sidewalk and letting the dog sniff every bush won’t cut it. A “workout walk” requires training to keep the dog focused on what you want him/her to do. The dog may then be “released” from this focus at the end of the walk to play and socialize. There are numerous creative ways to exercise with pets, but common sense rules apply. Like all exercise, a gradual introduction to avoid physical injury and pain is important. If your dog is painful after a walk, there may be more going on, and it should be checked out. 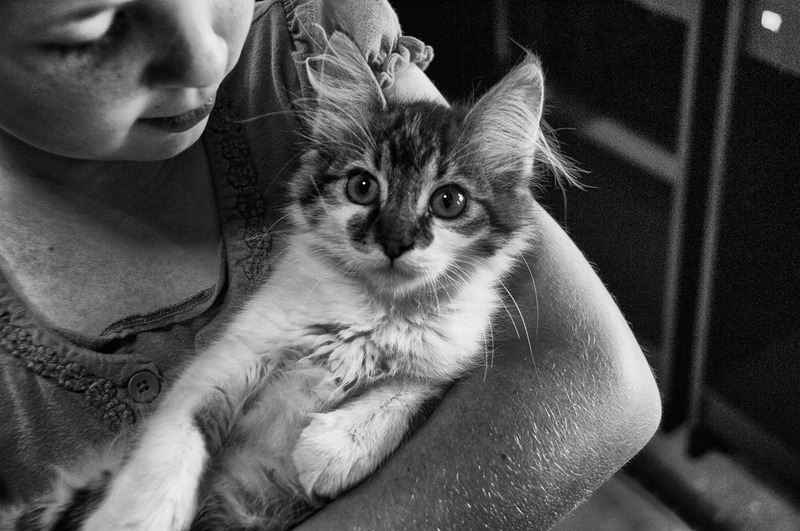 Pets are masters at socializing and often act as magnets—or bridges—to other people. It is so much easier for you to let your defenses down with another person when they are fawning all over your dog or cat. You might even automatically connect with another animal lover! Getting out in your neighborhood with your dog exponentially increases your interaction with your neighbors. Being adored by other people provides great socialization for your pets and a great social interaction for you. Feeling like you are part of a community is good for your health. The tremendous benefit of the human-animal bond to both the human and the animal is not in question. Countless studies have shown the mutual benefit of having this type relationship, and there may be even more advantages that have not been studied yet. For some of us, our pets are our friends, companions, children, caregivers or teachers. Just acknowledging the positive ways your life is affected because you live with your pet deepens the relationship the two of you have. Maybe having them around even helps you feel calmer and less concerned about the small stuff. What your pets do for you might be quite different, but beneficial nonetheless. So, this year, your resolutions could include feeding yourself and your pets more fresh produce, briskly walking around the neighborhood three times a week, taking some leisurely strolls for fun and socialization and remembering on a daily basis all that you and your pets give to each other. What other pet-inclusive resolutions can you come up with? And please feel free to contact us if you have any questions about improving your pet's health!